Would you like a chance to give something back to your community? Do you want to develop new skills or gain experience? Interested in nature or local history? Would you like to get outdoors and enjoy the company of others? 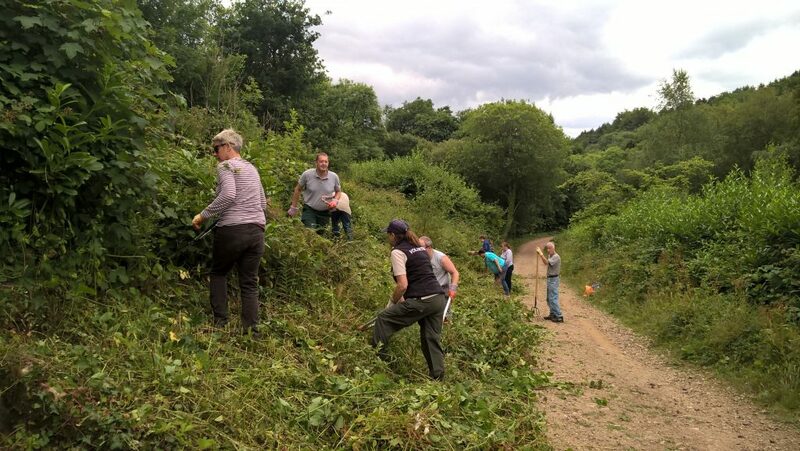 Whatever your motivation, across the Blackdown Hills AONB there are lots of organisations looking for volunteers to help care for local wildlife and heritage and to help other people to enjoy exploring the area. There are volunteering opportunities to suit everyone, no matter what your age, background, interests or abilities. If you’d like to get involved, our volunteer coordinator, Sammy, would love to hear from you! 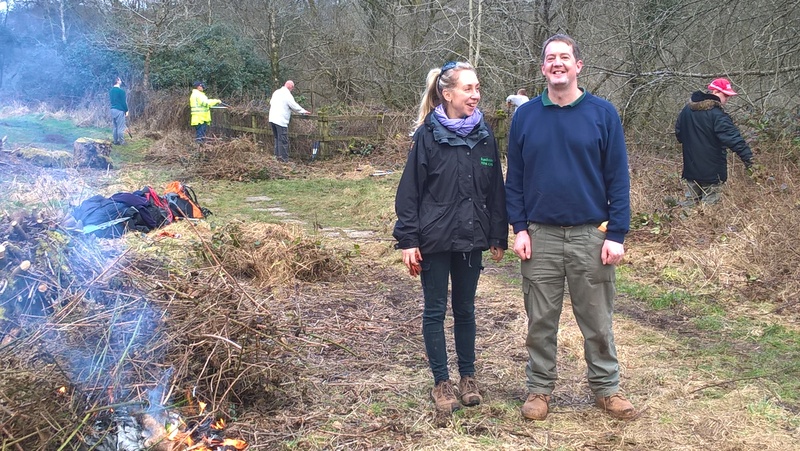 Find out about volunteering in the Blackdown Hills from our volunteers and the people who work with them – read our volunteering blogs. Working collectively makes it easier for us all to enjoy and look after the Blackdown Hills AONB. It also serves to strengthen and amplify what we can achieve. Our volunteer coordinator, Sammy Fraser, is working to identify opportunities and training for volunteers and to generate interest in volunteering in the Blackdown Hills AONB. Her aim is to cultivate lasting links between local groups looking for volunteer support and people looking for volunteering opportunities. Sammy works across Somerset’s three Areas of Outstanding Natural Beauty, with one day each week working for the Blackdown Hills AONB. If you’re looking for volunteers to help you with a project based in either of the AONB’s in Somerset, Sammy would love to hear from you – sfraser@somerset.gov.uk or 07977 402 399. There are community projects across the Blackdown Hills, many of which have benefitted from the involvement of volunteers. We are looking for confident, friendly and outgoing local people to help occasionally with community outreach work in the Blackdown Hills AONB. 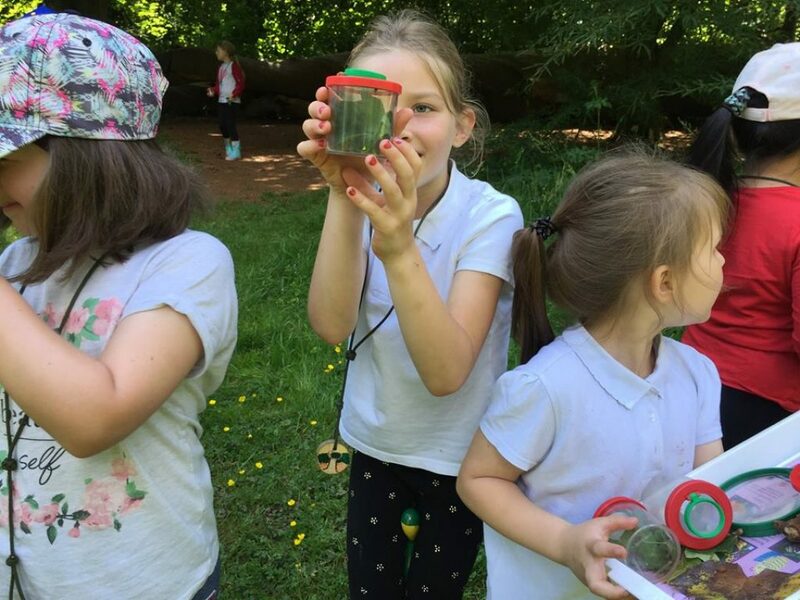 This will include helping prepare for and run events, assisting with designing and creating resources and assisting with the outreach work of the Nature and Wellbeing project. Contact Sammy Fraser – sfraser@somerset.gov.uk or 07977 402 399. View our events calendar to see forthcoming volunteering events in the Blackdown Hills AONB. 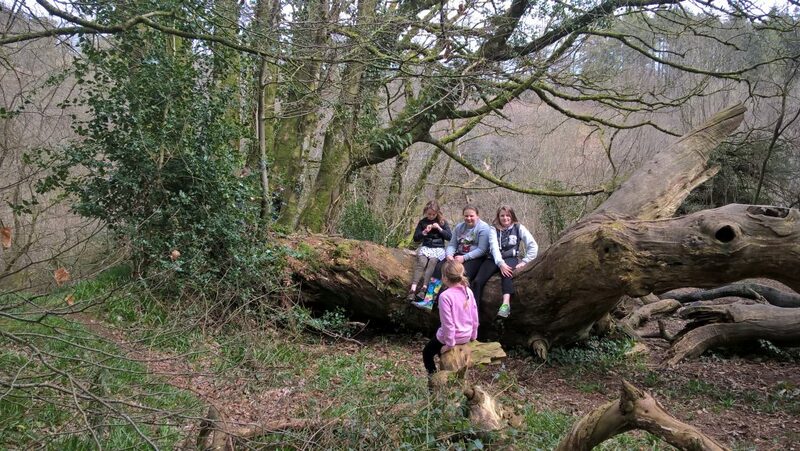 The Nature and Wellbeing project , funded by Somerset Public Health, focuses on communities that are currently not accessing the AONB’s in Somerset (Blackdown Hills AONB, Quantock Hills AONB and Mendip Hills AONB), but for whom access to the natural environment may be of great benefit. The reasons for the current lack of engagement for these groups may be associated with social-economic status, ethnicity, age, disability or mental health. The project is managed by nature and wellbeing project officer, Kristen Lambert. 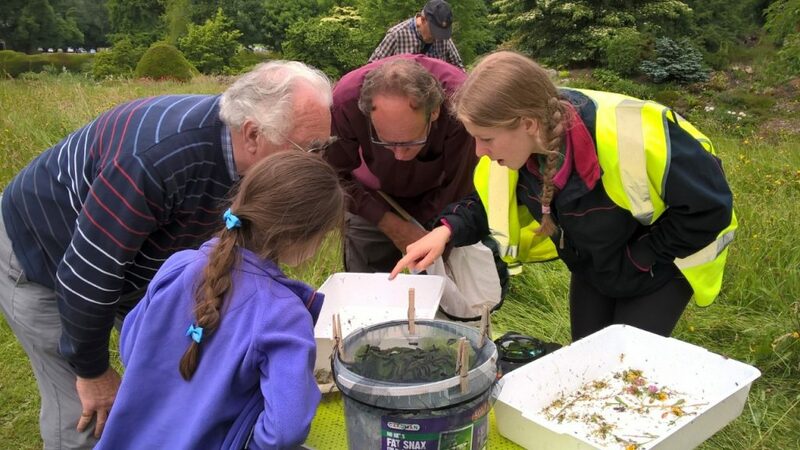 She is looking for volunteers support the project – helping to run and prepare resources for events, school visits and site visits in the AONBs. Helping to protect the landscape and wildlife of the Axe Vale area, the Axe Vale and District Conservation Society runs a variety of events, walks and volunteering information. Throw it away no way! 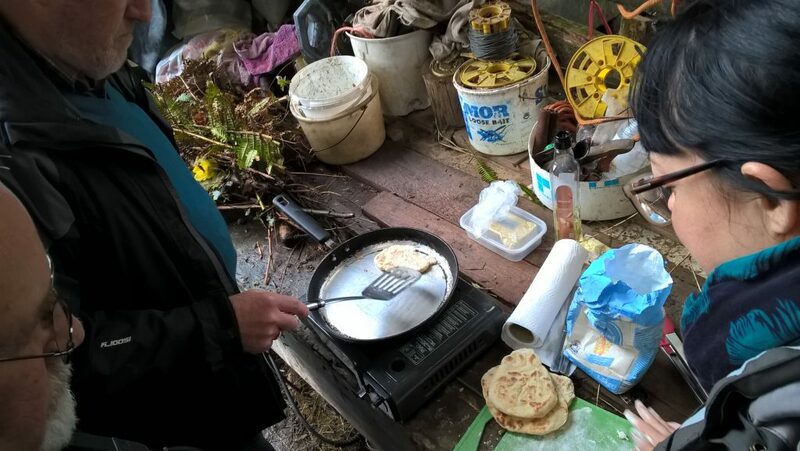 Blackdown Hills repair café, run by Blackdown Hills Transition Group, is tackling waste by helping people to repair items rather than throw them away. The repair café team is looking for skilled volunteers who are able to repair household items, including computers, electrical goods, bicycles, hand tools, furniture, soft furnishings and clothing. The repair cafés are held in Hemyock Parish Hall on the fourth Saturday every other month. There are a range of opportunities to volunteer with Butterfly Conservation in both in Devon and Somerset. Butterfly Conservation runs butterfly monitoring schemes and practical conservation tasks to help manage their reserves for different butterfly species. They have two reserves in the Blackdown Hills AONB Little Breach and Mount Fancy Farm. As a small conservation charity, they always welcome help, no matter what your previous experience. To find out more you can either call, Sammy Fraser, Blackdown Hills’ volunteer coordinator on 07977 402 399 or get in touch directly with Devon Butterfly Conservation or Somerset Butterfly Conservation. Coldharbour Mill is one of the oldest woollen mills in the UK, situated in Uffculme, on the western fringes of the AONB. Whether you’re seven or 77, there are all sorts of volunteering opportunities available. 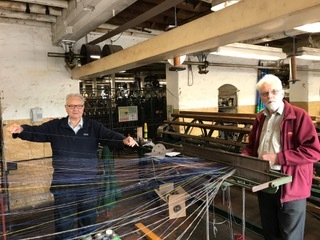 These include working in the garden, site and building maintenance, helping with the Mill’s education programme, office assistance, working with the spinning and weaving equipment and more. Taster sessions and training is provided. Devon Wildlife Trust has four nature reserves in the Blackdown Hills AONB: Ashculm Turbary, Clayhidon Turbary, Lickham Common and The Rough. Volunteers help keep these rich wildlife habitats in good condition. Dunkeswell Airfield Heritage Centre is looking for volunteers to join its team welcoming visitors. You don’t need to be an expert on the history of Dunkeswell as this can be learned! Far more important are good people skills and the ability to provide a warm welcome. They’re looking for people who are happy to work with the existing volunteer team and can help man the Heritage Centre for a day or half-day each week. To find out more call 0777 885 7722. This community garden is one of the 15 community nature projects supported by the Blackdown Hills Natural Futures project. 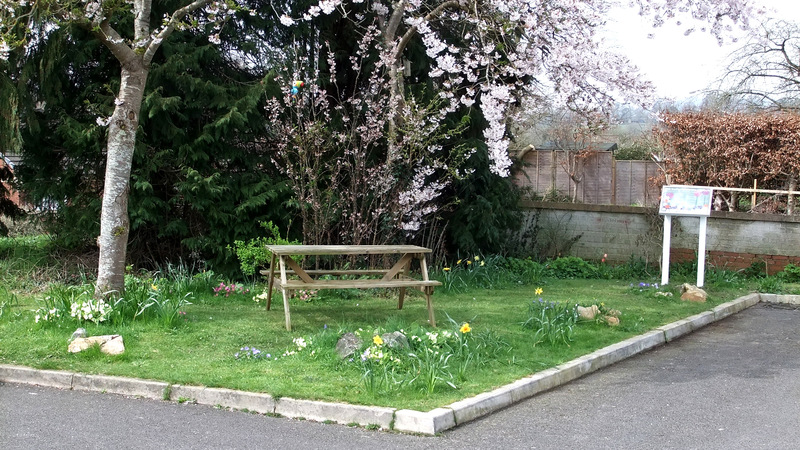 Once wasteland, the site has been transformed into a delightful mini wildlife haven, next to the Beehive in Honiton. The volunteer team that looks after the garden is looking to develop the it further and would like to welcome new members. To find out more contact Sammy Fraser at Blackdown Hills AONB – sfraser@somerset.gov.uk. In the Blackdown Hills AONB, the National Trust manages Dumpdon Hill and Combe Wood near Honiton, and Wellington Monument close to Wellington. At Combe Wood the National Trust is looking for people to join its team of volunteers taking part in practical woodland management works such as coppicing. The National Trust is also looking to recruit a dog ranger and people engagement volunteers to encourage good dog owner behaviour and engage with visitors, both at Wellington Monument and Fyne Court in the Quantock Hills AONB. 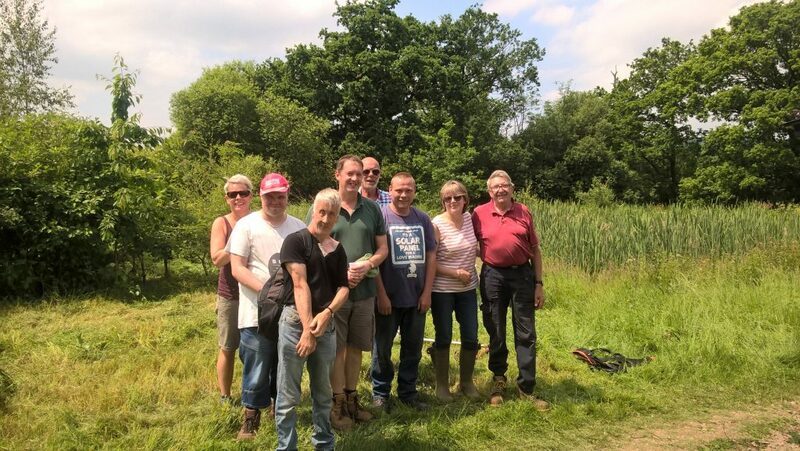 Neroche Conservation Volunteers is a friendly, informal group which works on a variety of wildlife sites in the northern Blackdown Hills to improve habitats and access for the public. Formed in 2007, the group has worked on land belonging to the Forestry Commission, Blackdown Hills Trust, Butterfly Conservation and Somerset Wildlife Trust. Neroche Woodlanders is a social enterprise based at Young Wood, near Staple Fitzpaine. Young Wood is a 100-acre woodland, set within the Forestry Commission’s wider 100-hectare Neroche Forest Estate. Conservation work, forest school, firewood and woodland product creation, and school visits are just some of the things that take place. Volunteers are needed to help with practical management, construction projects and support for wild learning and family sessions. RSPB is the UKs largest nature conservation charity and is involved in some of the conservation projects taking place in the Blackdown Hills. Based in Taunton, Somerset Wildlife Trust manages 72 reserves in Somerset, including 10 in the Blackdown Hills and hosts the Somerset Environmental Records Centre. Volunteering opportunities include practical conservation work, visitor work, surveys, office support and more. 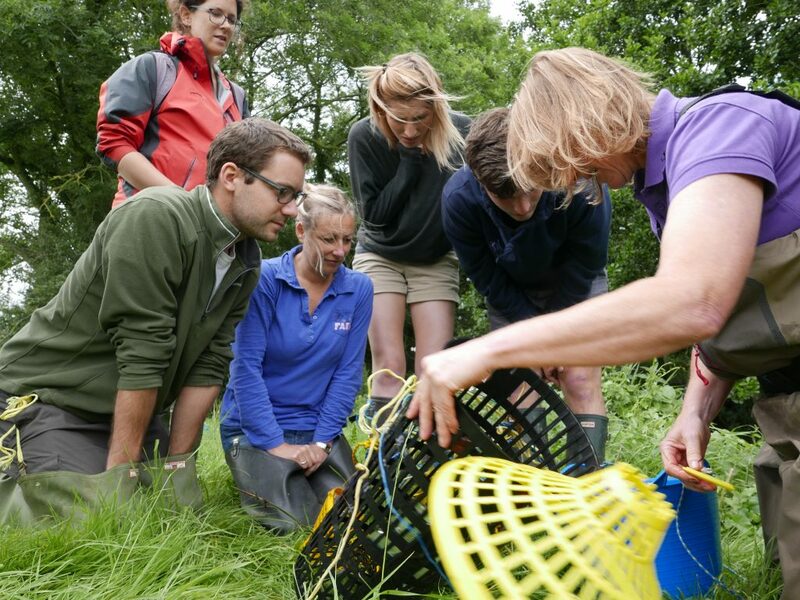 Read about volunteering with Somerset Wildlife Trust or call 01823 652 400. Working with young people from across the county on a range of projects, Somerset Rural Youth Project engages and supports young people in rural areas in a range of social, economic, educational and recreational opportunities. SYRP is looking for volunteers to help support its activities and for local young people to take part in its projects. Underway Meade, in Combe St Nicholas, is managed as a parish amenity promoting the conservation of wildlife, encouraging enjoyment, recreation and educational activities for the local community. The reserve trustees are looking for volunteers to join their team helping with the maintenance of the site for both the local community and wildlife. Depending on the season, this might include hedgelaying, path creation and maintenance. All welcome. The group usually volunteers for an hour or two on Saturdays but there is also the opportunity to volunteer during the week. Call Blackdown Hills AONB to find out more 01823 680681. To discuss volunteering opportunities in the Blackdown Hills AONB and the other AONBs in Somerset, email our volunteer coordinator, Sammy Fraser at sfraser@somerset.gov.uk, call Sammy on 07977 402 399, or use the contact form below.